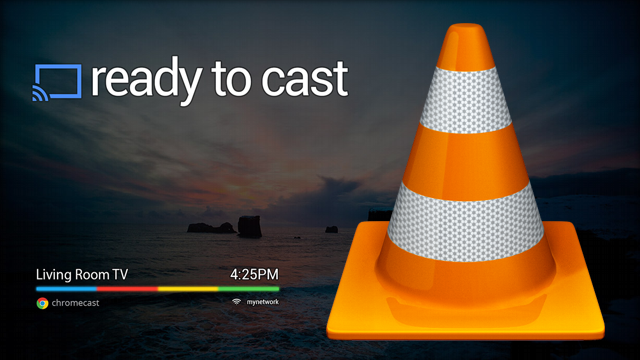 VLC player will soon play any video on TV via Chromecast. On one of the forums VideoLan, Felix Paul Kühne, chief developer of VLC on iOS, announced that the VLC app for Apple's mobile operating system will be soon compatible with Google Chromecast. This device plugs into the HDMI jack of a TV and allows access to the entire web on its TV through the Chrome browser, via a terminal with an internet connection. Side mobile apps, however, the choice is more limited, since developers must first rework their programming interfaces to allow compatibility between the app and Chromecast. This is the case of YouTube and Photowall; support is also planned at Dailymotion. Google device has found a new ally with VLC. Publishers multimedia player flooring now on Chromecast support of their iOS app. This could occur at the next update for VLC mobile OS of the Apple brand, without a date to be specified. It will probably take a little longer before you can watch any video on the TV (since VLC has a reputation for allowing, in theory, play any audio or video extension). Since the launch of this update, and thus support Chromecast, VideoLan developers integrate the API in its Android app, then its Mac, Linux and Windows versions.